For most Aussie travellers, Europe is on the bucket-list. Whether it be cruising down the sunny Amalfi Coast or winding your way through the fairytale-like towns of Germany, plenty of Australians are dreaming of a European adventure. While Europe is home to some of the world's most scenic drives, actually getting behind the wheel can be a bit challenging. The road rules in Europe can be quite different to Australia, so it is important to do your research ahead of time. Of course, the main difference Aussies will find when driving is Europe is that in most countries they will be driving on the right-hand side of the road. Some of the rules of driving, parking and using toll roads can also be new to Australians. VroomVroomVroom has put together a quick guide to some of the top European destinations for Aussies. Most Australians who plan a holiday to Europe intend to include Italy on their itinerary. There is a reason this Mediterranean country is such a magnet for road trip enthusiasts. 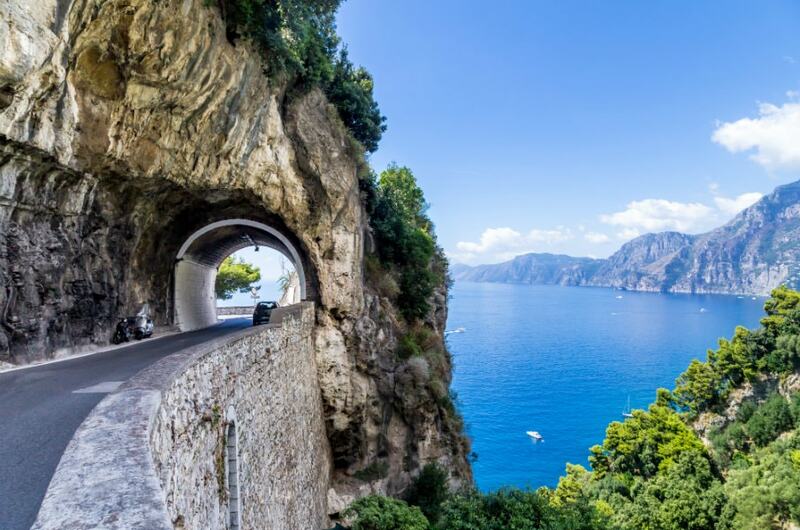 With highways stretching along the scenic Amalfi Coast, winding through the colourful villages built into the cliffs, Italy is everything it is advertised as. For the perfect Italian road trip: Pick up your rental car in Milan and travel south through Tuscany toward the Amalfi Coast. Be sure to stop in at Florence, Rome and Naples. While Australians are used to large, open roads with plenty of space, this is certainly not the case in Italy. While the narrow laneways and cobblestone streets are part of the country's charm, it can also be challenging for those who aren't used to driving on such small streets. Make sure you take extra care, and consider hiring a smaller vehicle if you're planning to drive in cities. When using Italian toll roads, you will generally take a ticket as you enter and then pay upon exiting. Although it can be costly, sometimes it is preferable to passing through towns where the roads can be quite congested. If you see a sign reading "Zona Traffico Limitato", this means traffic is restricted to those with prior authorisation. You could be fined for driving in these areas without permission. Where to pick up your rental car? Most international flights from Australia will arrive into either Rome, Milan or Venice. You can pick up a rental car from all major international airports in Italy. Paris is one of the most visited destinations for Australian travellers, but there is much more to discover in France beyond its capital city. With a luxury riviera, world-class wineries, ancient cities and alpine peaks, France really does have something for everyone. If you've never travelled to Europe before, France is the perfect introduction to the continent. 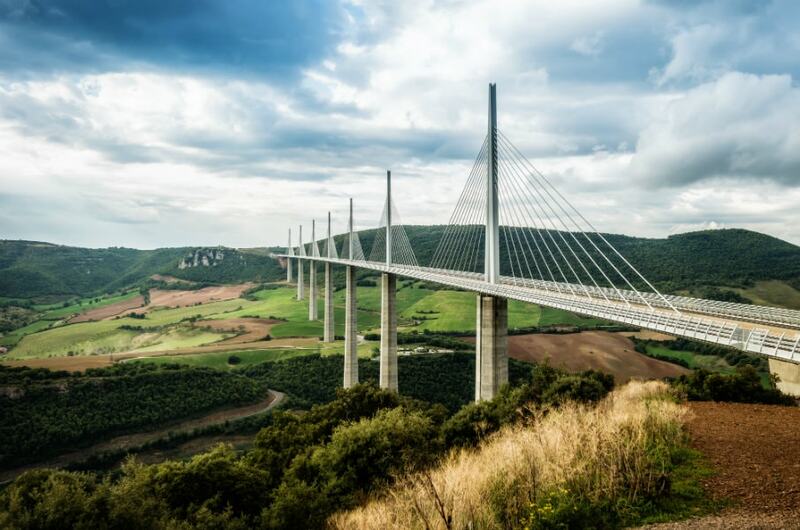 For the perfect French road trip: See the sights of the French Riviera before driving across the massive Millau Viaduct. Across the other side you will find lavender fields, charming villages and the wineries of Bordeaux. Motorways in France (which can be easily distinguished by the blue signage) have a reputation in France as being an expensive way to travel. Carry some cash with you to cover the cost of the tolls, and if you plan on travelling across the English Channel you will need prior authorisation from the car rental company. Planning to drive in Paris? Get ready for busy traffic, small streets and unmarked roundabouts. If you're not used to driving in Europe, you might be best to use public transport to explore Paris and pick up your car outside of the city. Try to fill up at service stations in cities where you can use your credit card to pay in the store. Many smaller French locations use automated petrol pumps, and sometimes foreign credit cards may not be accepted. Where to pick up your rental car? Most travellers arrive into Charles de Gaulle Airport in Paris, where you will find plenty of car rental options. You can also pick up your rental car from most French cities including Nice and Lyon. Many people are drawn to this Scandinavian country because of its amazing natural beauty. Norway is known for its impressive fjords and frequent Northern Lights displays. If you're planning on a trip to Norway, your biggest decision will be which corner of this beautiful country to focus on. For the perfect Norwegian road trip: Explore the southern fjords of the country by car. Travel between the two largest cities; Bergen and Oslo and see the beautiful landscape surrounding Flam. There are a lot of car ferries in Norway. You will need to check with your car rental company whether they allow travel on these ferries, and which routes are restricted. 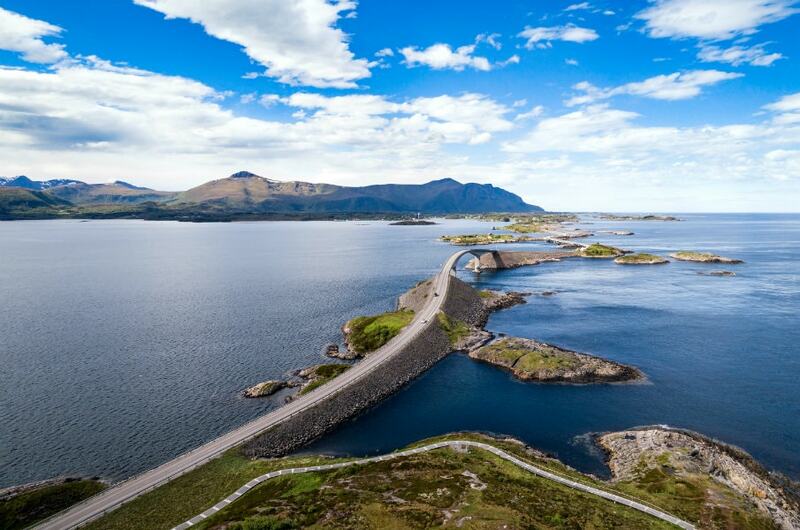 If you're travelling through fjord country, prepare yourself for some challenging roads, with plenty of hairpin turns. Traffic may also be slowed down by frequent tour buses passing through. Always check the weather before you travel to make sure there will be no road closures on mountain passes. In Norway, it is mandatory that you travel with your headlights on at all times on low beam. This is even the case during the summer months. Where to pick up your rental car? You'll be able to pick up a rental car in Oslo or Bergen to explore the southern fjords. You'll also be able to pick up a vehicle from Tromso if you are planning to explore northern Norway. Germany's famous 'autobahn' motorways have enticed many Aussie travellers to visit. With a huge network of highways connecting cities like Berlin and Munich, as well as top sights like Neuschwanstein Castle, there are a lot of reasons to choose Germany as your European road trip destination. For the perfect German road trip: Take the famous Romantic Road through some of Germany's most beautiful towns. 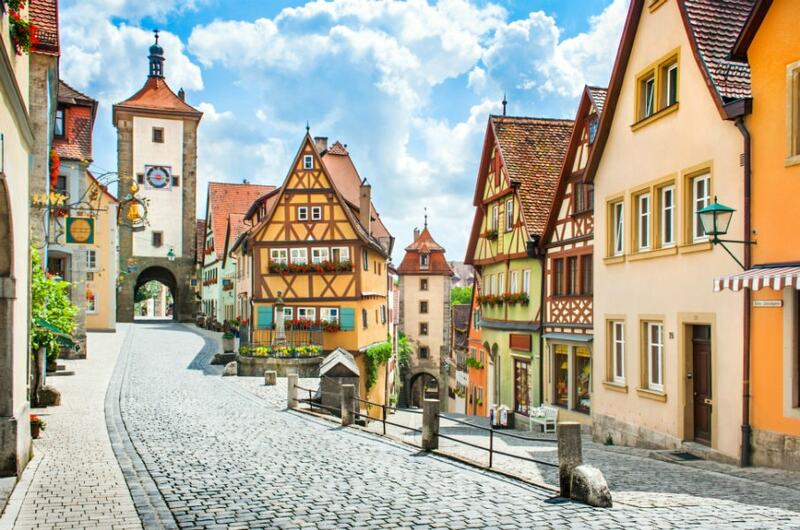 Spend some time exploring the charming Rothenburg ob der Tauber with its narrow, cobblestone laneways. While most Australians travelling by car are keen to get on the Autobahn, keep in mind that speed limits do apply to a large portion of the network. Around urban areas the speed limit can be 80km/h. You should also note that passing on the right is prohibited, and you are not able to pull off into a shoulder unless your vehicle has broken down. Although using some tunnels may incur a charge, there are no toll roads in operation on the German road network. If you are travelling into neighbouring Austria, you will need to purchase a sticker for your car in order to use certain roads. Looking for a motorway exit? You'll be able to find the exit by following the blue sign reading 'Ausfahrt'. Where to pick up your rental car? Australia is well-connected to most German major cities. You can pick up a rental car from major airports in Berlin, Munich, Frankfurt and more. Iceland is a destination that is now on a lot of people's wishlists, and it is easy to see why. By taking just a short drive in Iceland you can see unique, modern architecture, huge glaciers, volcanic beaches and volatile geysers. The diversity of this landscape and its accessibility via the Ring Road is what makes Iceland the perfect European destination. For the perfect Icelandic road trip: Take the Ring Road, which stretches from capital city Reykjavik all the way around the island, encompassing all of the best scenery that Iceland has to offer. Australians should have no trouble driving in Iceland. 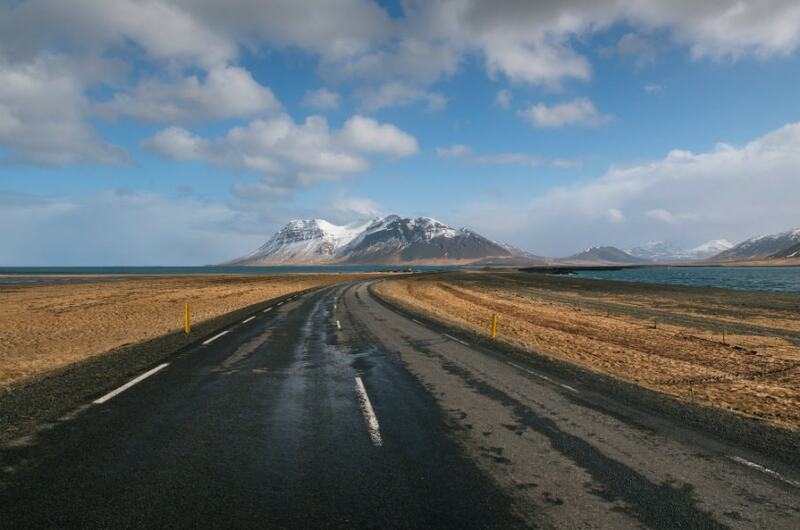 Although driving is on the right-hand side of the road, the lanes are large and well maintained around Reykjavik, the Ring Road and the Golden Circle. Note that your car rental company may not permit you to drive on smaller, gravel roads. There is plenty of parking available in Reykjavik, both on the street and in designated parking garages. The city centre is small so you will be able to explore it on foot once you have parked your vehicle. Australians are used to watching out for wildlife on the road, and the same rules apply for Iceland. Keep an eye out for any livestock that might be wandering close to the highway. Where to pick up your rental car? Most visitors will pick up their rental car from Keflavik International Airport, which is about a 40 minute drive outside of Reykjavik. Make sure you have an International Driving Permit if you are picking up your car from a country where English is not the main language. You will need to present your International Driving Permit with your driver's licence. You will be offered options at the counter to reduce your financial liability. In some cases, vehicles picked up in Western Europe are not permitted to be driven into the Czech Republic, Poland, Slovakia, Hungary, Russia and Slovenia, or any other countries further east. If you wish to travel to these areas, you'll need to contact the car hire company for authorisation.